228 The number of Wind Farms on the island of Ireland. 3025MW Installed Wind Energy Capacity on the island of Ireland. 1,966,250 Homes Powered Equivalent on the island of Ireland. 2395MW Installed Capacity in the Republic of Ireland. 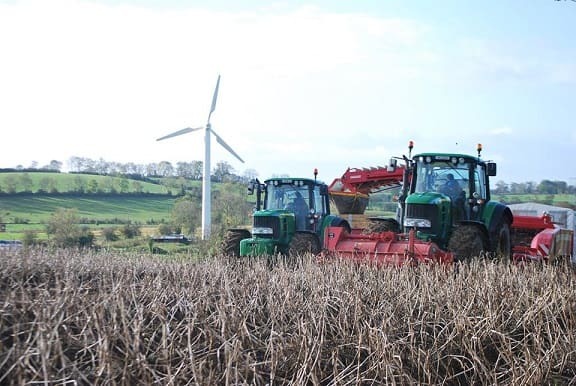 630MW Installed Capacity in Northern Ireland. 1969MW Republic of Ireland Wind Generation Record reached at approximately17.15 on 23rd February 2015. 556MW Northern Ireland Wind Generation Record reached at approximately 14.45 on 7th January 2015. 2514MW All Island Wind Generation Record reached at approximately 13.30 on 7th January 2015. The above are based on latest information available from ESB Networks, Eirgrid & SONI. 18.3% Percentage of Ireland’s electricity from wind in 2014 (SEAI). 88.5MW Installed capacity of Ireland’s largest wind farm, Meentycat in Co. Donegal.